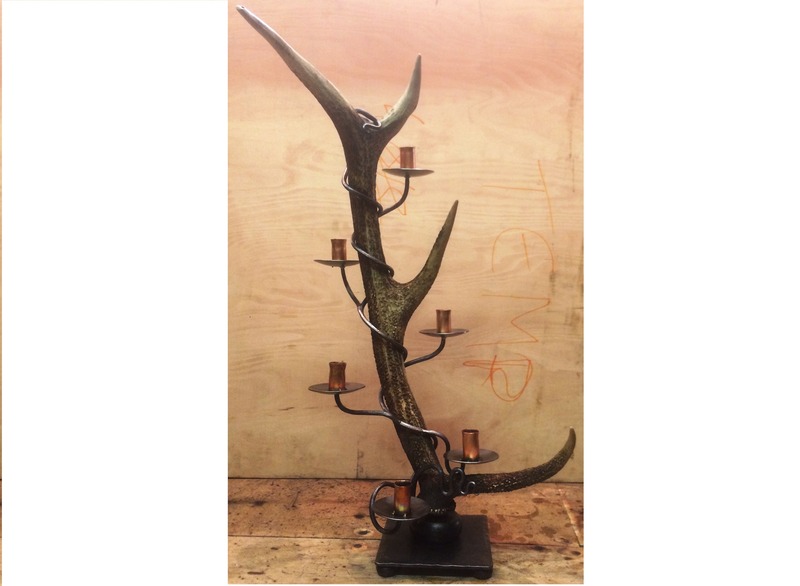 West Country Blacksmiths are proud to produce Exmoor stag antler candelabra’s using stag antlers found on the moors of Exmoor. 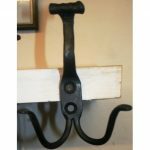 Working in partnership with local farmers, West Country Blacksmiths receive antlers found on the moor and make items to order such as these beautiful table top pieces. SKU: N/A. Category: General Items and Gifts. Tags: antler, candelabra, exmoor. 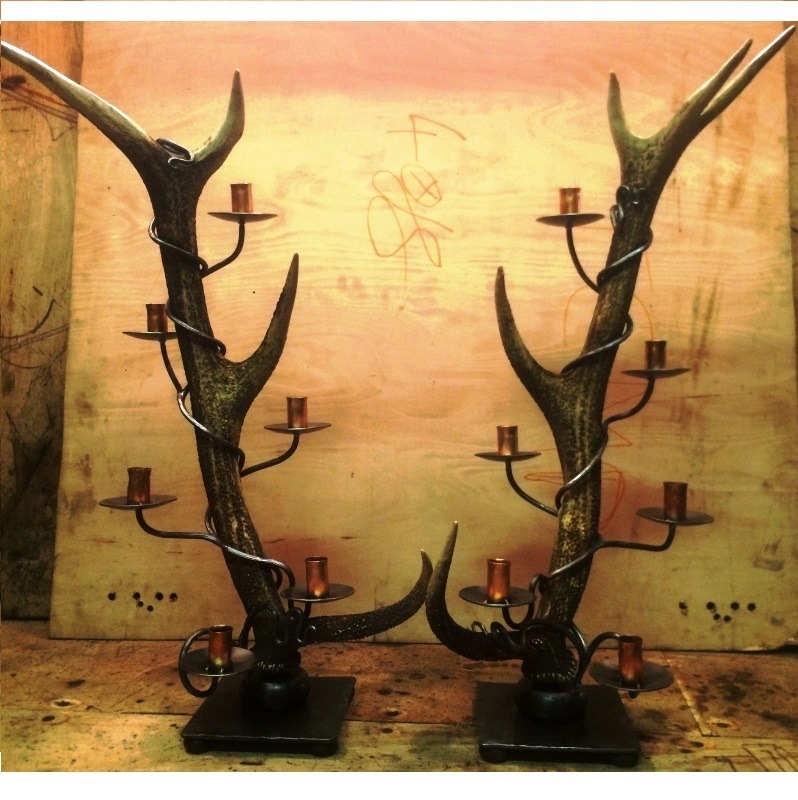 The Exmoor Antler Candelabra’s are made with a forged textured base plate with four feet with the antler fixed to the base via a decorative metal connecting piece. From this connecting piece, arms of textured steel grow organically around the antler very decoratively and wit some end of the steel tapered and shaped, and some with a disk to act as a drip tray to a candle which slots into a copper tube. Metalwork is all heat treated and lacquered to offer the piece protection and leave a lovely metal like finish. Please accept photos as representation only as all items vary considerable to suit the antlers. 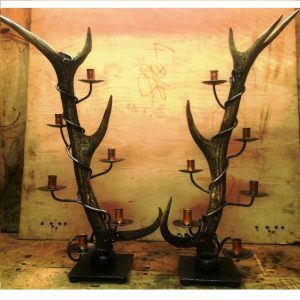 This items has limited availability due to the difficulties in sourcing antlers By purchasing this item online you place an order for this item and once a Exmoor Antler Candelabra is available and made a photo of the piece will be sent to the purchasers for approval, with order priority done on a first come first serve bases. We would expect that at a worst case scenario all customers would receive there metalwork within 10 weeks of ordering, but we would hope to have this delivered much sooner. 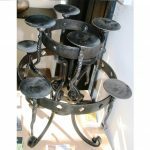 If an order is placed and the right candelabra is not found, a full refund will be issued on require within 24 hours of a request. Please note all costing include vat, packaging and postage.